Today, cryptocurrencies are gaining more and more attention not only from tech enthusiasts, but also from ordinary people who are looking for a new place to invest their money. Therefore, it is extremely important to enhance your ecommerce store with new payment options. Start accepting Bitcoin, Ethereum, and other altcoins in Magento 2 and get a competitive edge over other market players right now. Unfortunately, the default platform doesn’t let you use crypto, but we know for sure how to accept Bitcoin, Ethereum, and altcoins in Magento 2. 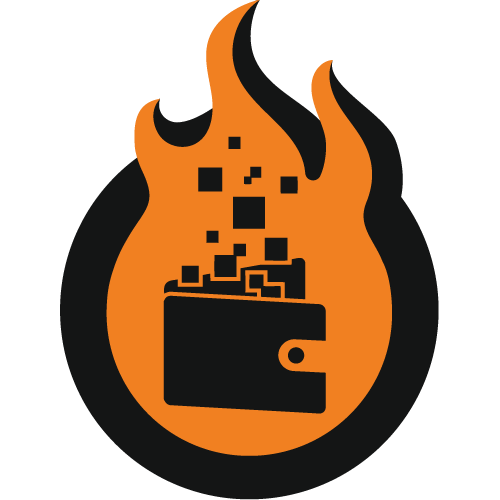 There are two Magento 2 cryptocurrency modules in the portfolio of Firebear: CoinPayments and ShapeShift. The first one is a commercial extension while the second one is a free tool. Let’s describe core features of each solution. The Magento 2 CoinPayments extension provides your store with the ability to add the CoinPayments cryptocurrency payment gateway to the list of Magento 2 payment options. As a result, your store visitors can make purchases using BitCoin, Ethereum, and more than 75 other altcoins. Note that CoinPayments is already used by more than 300k merchants worldwide and you can easily join the game by installing the Magento 2 CoinPayments module. 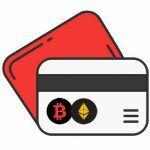 Accepting cryptocurrency in Magento 2 is extremely easy. 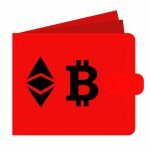 In addition to support for more than 75 altcoins, you also get a cryptocurrency wallet to store your altcoins. 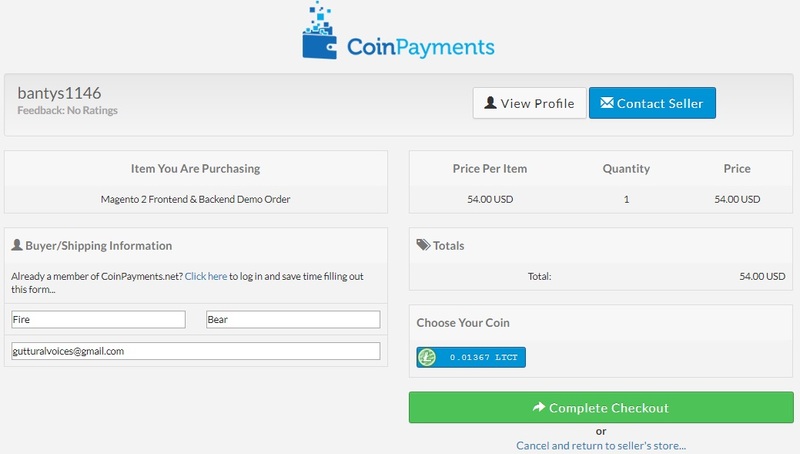 Besides, our module supports PayPal integration, provided by the CoinPayments cryptocurrency payment gateway. And you can fully leverage fiat withdrawal that is supported by the platform. Direct bank deposit withdrawal is also among features provided by the extension. All transactions can be viewed in a history section. 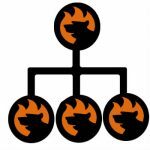 If you are looking for a free Magento 2 cryptocurrency extension, we also have good news. 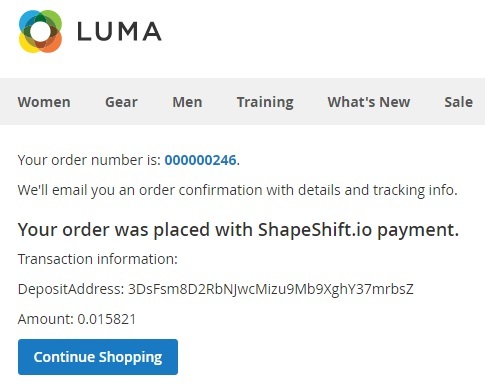 You can install our Magento 2 ShapeShift extension out of charge and get a new payment method that allows accepting any crypto on your ecommerce website. In addition to the Magento 2 cryptocurrency extension, you only need a BitCoin wallet, since ShapeShift converts almost all altcoins to Bitcoin. 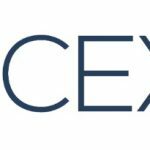 Install and configure the module, and you will be able to accept all major cryptocurrencies with neither transaction fees nor registration! Note that both ShapeShift and our Magento 2 has deposit minimum/maximum. Perhaps it’s the only major limitation. At the same time, you don’t need to use multiple wallets, code branches, or databases: the platform and our module do everything for you. First of all, you need to select ShapeShift as a payment method. Next, choose a cryptocurrency you want to use to pay for the order. And don’t forget to type a return address to enable a possible refund. Now, it is only left to click ‘Place Order’ button – you will be redirected to a new screen with additional payment data necessary to complete the order. As for additional order and tracking details, they are sent by email.